We often feel most accomplished at work after big milestones. Things like making the final revisions to a report, shipping a new feature, or giving the talk you’ve spent a month prepping. While projects and deadlines are important, it’s our foundational habits—the little things that make us more productive—that help us reach those goals. 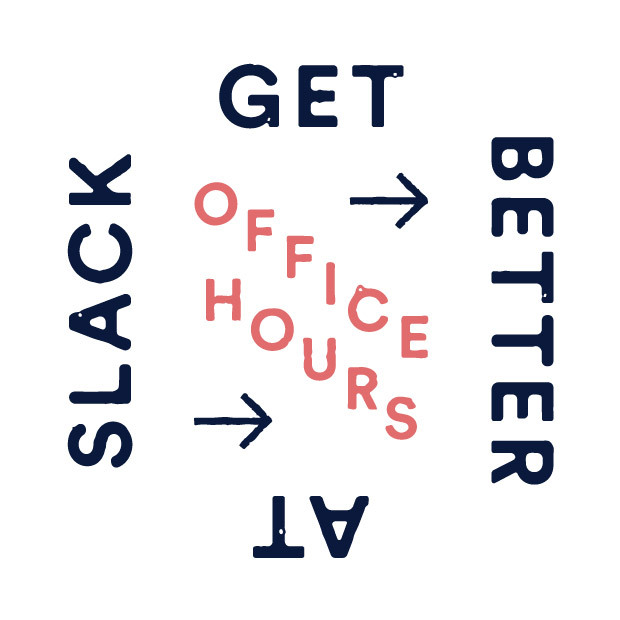 So to help you and your team stay on top of tasks big and small, we’ve compiled a list of good habits you can do in Slack—like setting daily tips and annual reminders—all designed to keep you on track. 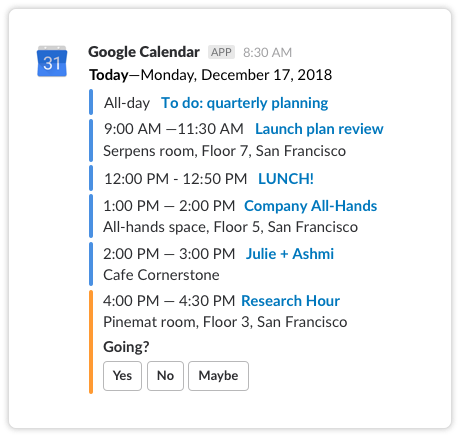 No matter your feelings about them, meetings are a part of everyday work life for every team, and Slack can help you keep tabs on and even streamline them. Check out the Google Calendar app for Slack. Once you attach it to your main work calendar, you can set it to show your daily schedule via direct message. A list of all your meetings and appointments delivered at 8 or 9 o’clock in the morning is a perfect way to hit the ground running and plan your day as soon as you get to your desk. 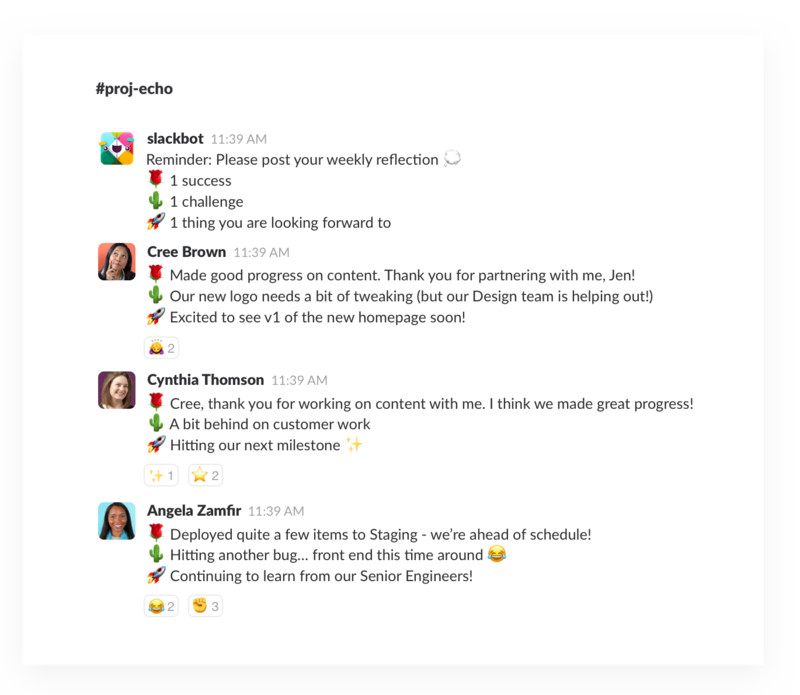 We’ve talked about automating stand-up meetings in Slack before, and it remains a great way to replace a 15- 30-minute in-person meeting with a quick Slack message in a channel or on a thread you share with your teammates. One way to be transparent about imminent dates and deadlines is sending a weekly events list from Google Calendar into your team’s channel (it’s the same app as mentioned above). Use it for any list of recurring events your team is involved in, whether that’s a publishing schedule, a lineup of workshops and seminar times, or a set of due dates for upcoming projects. Your team can jump into Mondays knowing what lies ahead. Weekly reminders are great for giving your teams a nudge in their channels. Use them to remind everyone of weekly tasks like turning in timesheets, or do fun things like posting throwback photos on Thursdays, or foster team building by posting end-of-week reflections. To keep your channels up to date with the most pertinent information, set a monthly reminder to check that pinned messages and files are still relevant to current projects and channels, and simply unpin any documents or messages that are no longer necessary. This is also a good cadence to tidy up your user profile in Slack. If your team uses custom fields, check that your office and desk location, the names of your manager and any direct reports, and your job title are all up to date and correct. If new profile fields are available, fill those out too—it’s a great way to give your coworkers a sense of who you are and how you work. You can also set yearly reminders to celebrate the birthdays and work anniversaries of your team members. Better yet, set them a day or two beforehand so you don’t forget to get them a gift. Remember these periodic checks to keep everything up to date and your colleagues informed. Whether it’s day to day or week to week, it’s the little things that keep big projects moving forward. Here’s to building a routine and sticking to it.